This past weekend, races filled two full days in Castle Rock, Colorado, as racers fought hard for a podium spot. Except for those at the back, who raced hard enough to compete but took time for a hand-up of beer or sausages and pancakes. 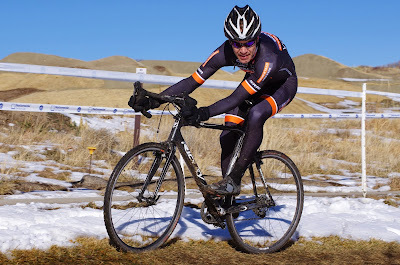 We had below freezing temps (-14 F, -25 C) just over a week ago in Colorado, but this weekend brought sunlight and just the right amount of mud and snow to make the good course challenging and fun. 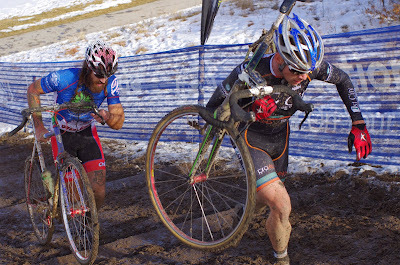 For the past four years I have been showing up at cyclocross races in Colorado. 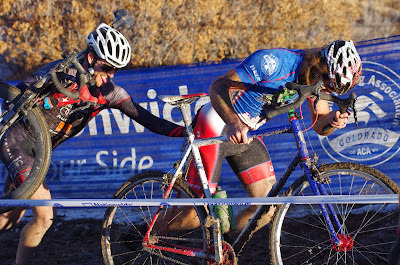 I had a few friends who raced, I also had the desire to learn more about photography. Over the years my friendships have grown and my curiosity behind the lens continues to grow with each race. 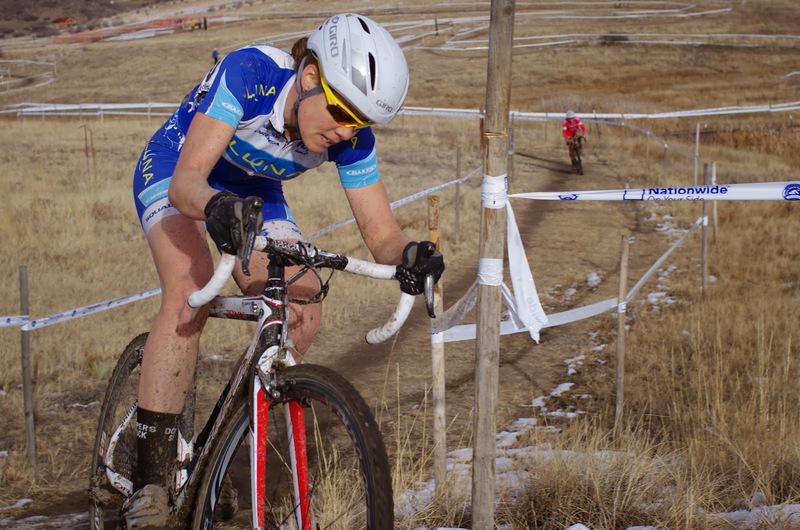 The cyclocross season runs from September to December and the number of racers continue to grow year after year with an amazing level of competition. 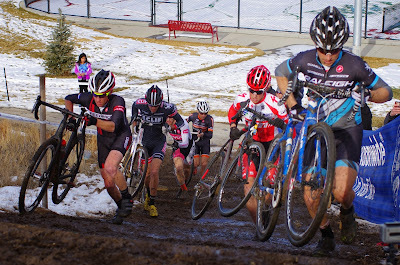 This past weekend marked the first time that some of the local sports photographers grouped together in a new joint effort on a website where racers could go and view the shots taken at the races. "I always see the photographers out on course, but I never know where to see the photos," this is the comment we heard a lot when we announced our new site RacerShots.com to the racers. We then heard many thank yous. We thank the racers themselves, the organizers, mechanics, volunteers, announcers, and family and fans who show up to the races. 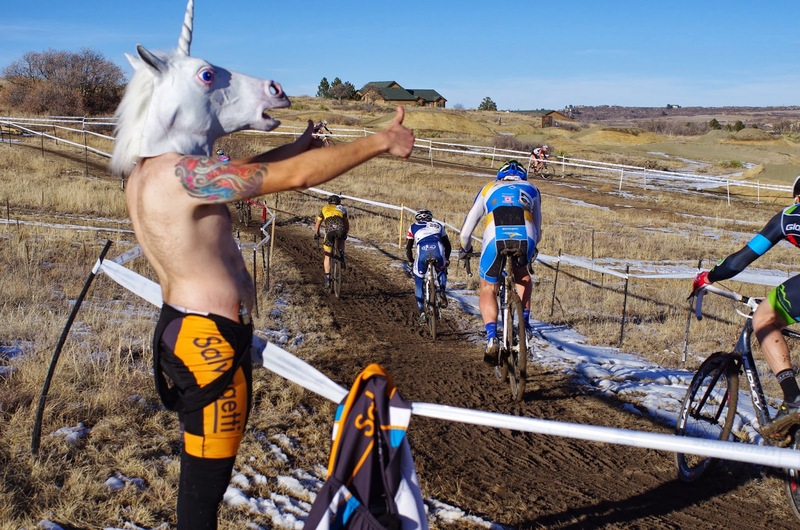 Through our varied styles and shots, it becomes very evident that the cyclocross community in Colorado is one cool sport to be a part of. Thanks to John Flora who had the idea of organizing the photographers into this new collaborative effort. RacerShots.com is a portal, with the purpose of getting our photographs in front of the racers and increasing our individual exposure. I have to admit it gave me a great sense of relief knowing I didn't have to stress about getting all the angles and all the highlights of every category. I had confidence, as I scanned the course seeing the photographers scattered about the various corners, I knew they were getting their signature shots. Please view my photos via the new RacerShots.com website listed under - Pedal Dancer (of course), and then view the shots from my fellow photographers who devote their time to capturing the exciting sport of cyclocross. More photos (and photographers) will be added in the future (check back when GreenCurry posts his fabulous shots from the weekend), so be sure to stop by again. And congrats to all the new Champs, and to those who raced their best. um, is that a unicorn? Santa! Or the Grinch, or both. Anyone planning to travel to Colorado this year for USA Cycling Cyclocross National Championships will be lining up against these men in various categories in January.